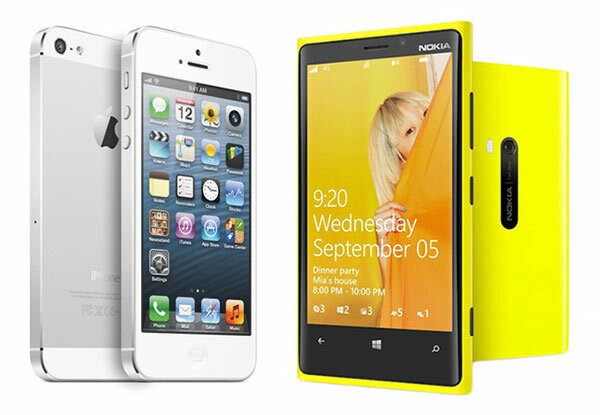 Here is the details comparison of two smartphones – iPhone 5 vs Nokia Lumia 920. I guess many people here were watching the Nokia presentation in New York, where they showed the first phone which works on Windows Phone 8 OS, it is Nokia Lumia 920. And of course you know the new iPhone 5 is launched and coming soon, and you can book it already. So let us look at them more closely in following iPhone 5 vs Nokia Lumia 920 Comparison, and find out, which one will be a best present for you to the Christmas holidays? Nokia Lumia 920 is made of single piece of polycarbonate, which makes it totally shock resistant. Copper induction coil is hidden in the body for wireless charging (WIRELESS CHARGING! How cool is that! ), providing only 10% lower energy efficiency than conventional wired chargers. It simplifies the charging process greatly, when comparing to the classic one. If you want to, you can replace the phone body fully, because the only part you can not replace is the front part with screen. So, there is an enormous space for designers of phone accesories. Anyway, Nokia suggests a great variety of bodies, they may be colorful or more functional, even dust and water resistant. IPhone 5 : Apple did not changed the iPhone 4S design dramatically, anyway they made the screen taller. It gets 4.0-inch Retina display with a resolution of 1136 x 640 pixels (326 ppi / 16:9 retio). It sounds like the colors should be brighter and give 44% better color saturation. Also, the new iPhone 5 is thinner and now it is 20 % lighter than iPhone 4S. It’s weight is only 112 grams. For Apple fans, it is a great news, they have their beloved design saved. Nokia Lumnia 920 has a great 4,5 in. display, made on the base of IPS-matrix and has a 1280×768 definition. It seems that it is 332 ppi, which is more than iPhone 5 and Samsund Galaxy have. PureMotion HD+ technology used in Lumia 920 changes pixels twice quicker than any other display can handle. As a result, the picture is more clear and smoth, when you watch a dynamic content. Moreover, Lumia screen understands not only touch of fingers, but gloves also. IPhone 5 has a display with 640 x 1136 pixels resolution, 4.0 inches, capacitive touchscreen, LED-backlit IPS TFT, the Corning Gorilla Glass and 16M colors. Also it supports multitouch. Apple does not claim that iPhone 5 can recognize all 10 fingers moves at once, but those are still pretty great specifications. Nokia Lumia 920 has built in PureView camera with 1/3 in. sensor and 8,7 pixels definition. The main feature of the camera is a Backside Illumination BSI of new generation. So it can make better photos even when there is not enough light. Another great innovation is Optical Image Stabilisation, which devalue hands tremor and make images better. The iPhone 5 gets a 8-megapixels iSight camera, but with a new innovating features. Now it can make a panorama effect with up to 28 megapixels. Camera is also improved by an technology, which reduces noise and make sharpness higher. Regardless to quicker processor, the Camera app can make pictures 40 percent faster than before. Nokia Lumia 920 is working on Qualcomm Snapdragon S4 processor. The battery used in smartphone should be enough for 17 hours of active using, 6 hours of video playing and 67 hours of music. It can work up to 400 hours in stand by. Also smartphone phone has 32 Gb of build in memory. The new iPhone 5 is based on upgraded A6 chipset processor, which makes it twice quicker when it comes up to opening apps and graphics downloading. The battery was improved to 8 hours of browsing the web and 8 hours of talk mode, also. If you watch video on iPhone 5 instantly, you will be able to do it for 10 hours. iPhone 5 uses iOS 6, to be called most advance mobile operating system, but I can read the reviews everywhere saying some bad points about iOS 6 including removal of Google Maps and Youtube. Nokia Lumia 920 is way better from a connectivity standpoint thereafter, featuring NFC for contactless payment and supporting wireless charging for that extra cool factor. The Apple iPhone 5 features the more advanced Bluetooth 4.0, but we imagine very few people consider this a make-or-break feature these days. 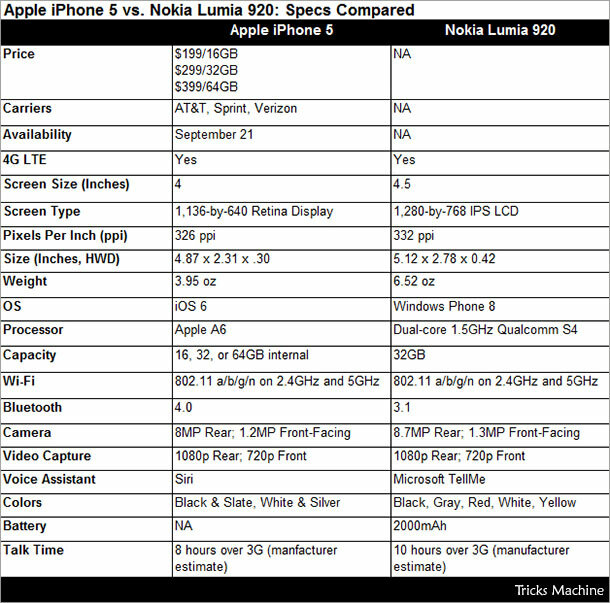 Have a look to the following image, where all features of the both phones compared side by side to get you an clear idea about iPhone 5 vs Nokia Lumia 920 Comparison. The Nokia Lumia 920 is a Windows 8 Phone and finally looks like it can compete with latest Android phones like Samsung Galaxy S3 and iPhone. However, in some features iPhone 5 is still better. 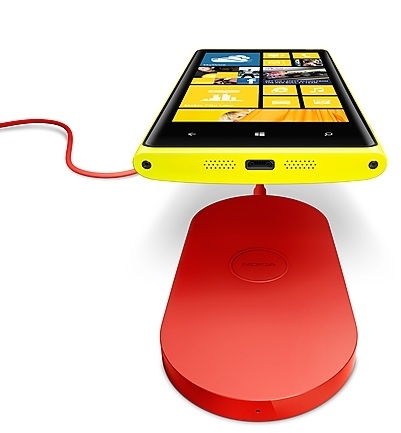 But in Nokia Lumia 920 I like phone’s 8.7-megapixel sensor and Wireless charging. 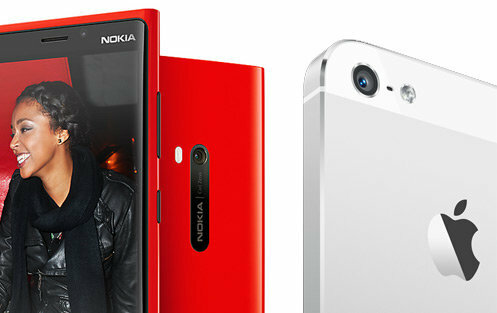 I can say in comparison of iPhone 5 vs Nokia Lumia 920, Nokia Lumia 920 is more colorful and friendly than the iPhone 5.